Are you ready for this winter´s adventures? Your adventure in Iceland starts with us! https://www.icelandairhotels.com/isBook your Mobile Wi-Fi hotspot and stay connected wherever you go! 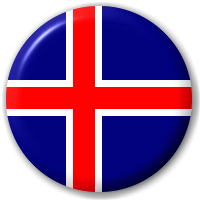 Route 1 Car Rental Iceland offers realiable rental cars. We at Route 1 Car Rental in Iceland always put our customers first. Take a look at TripAdvisor and Google+ to see what our customers have said about us. Rent a car in the at or Keflavik International Airport by making an online reservation in our booking system. You can choose a car to suit your specific needs in regards to luggage space, fuel efficiency, etc. GET A QUOTE for your car rental in Iceland including all extras in our booking engine here on the right and see what it costs you to explore the amazing wonders of iceland on your own terms. We recommend that you read our tips about Driving in Iceland and explore some of the hidden pearls we´ve uncovered for you in the Route 1 Guide. Just don´t forget to see the Golden Circle. Book your MOBILE Wi-Fi HOTSPOT and stay connected wherever you go! Flights to Iceland ! Wizz Air . Icelandair . Wow Air . Delta . Find a place to stay in iceland! Excellent for F-Roads. 7 seats and roof rack. FREE pick-up and drop-off in the Greater Reykjavik area!